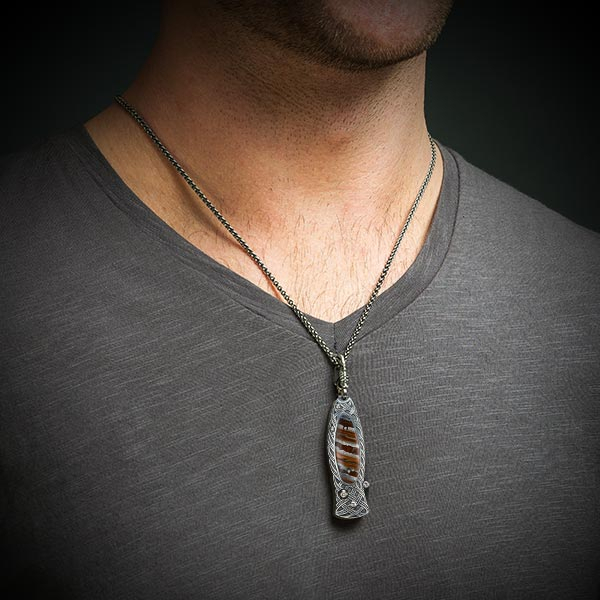 The Morpheus is the world’s first luxury pendant knife, created to be worn on the neck or carried in the pocket. 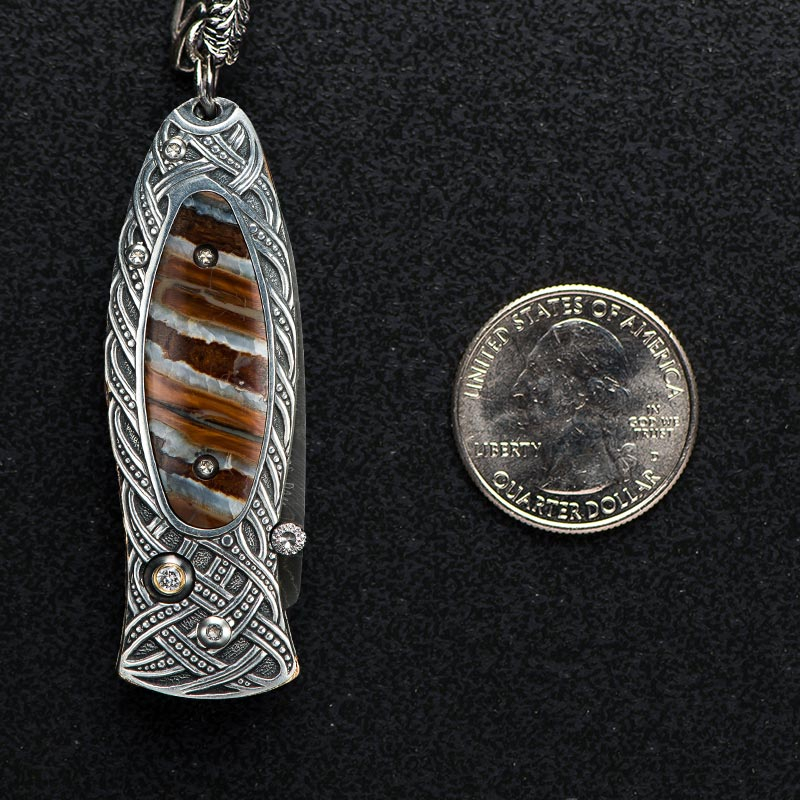 The 'Galway' is a bold sterling silver pendant, inlaid with 10,000 year old fossil mammoth tooth, featuring a hidden, state-of-the-art blade made from 'Boomerang' damascus steel, hand-forged by Chad Nichols from hundreds of layers of different steel alloys and folded into unique tapestries reminiscent of waves and flowing water. A dramatic diamond conceals William Henry’s button lock, ensuring that the blade is securely locked both open and closed, for safe wear and carry. The 'Galway' comes on a sterling silver chain. A quick release clasp, also from sterling, allows you to take the knife off the chain for use, or to attach the knife to a key chain.